It might seem a bit unnatural to see a long yellow light, followed by a blinking red light – in the middle of the highway – while driving. 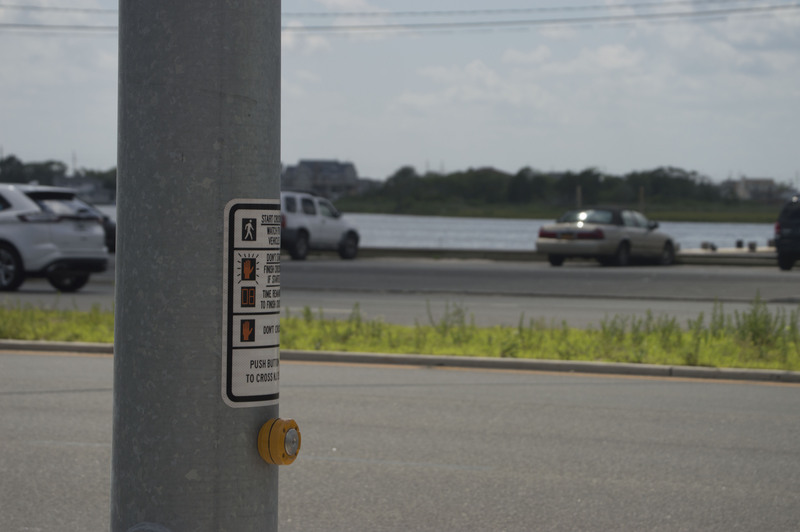 But for drivers entering the barrier island from the Route 37 bridge, it’s become a common sight this summer. The traffic signal is a large-scale version of a pedestrian crossing signal known as a HAWK, which stands for High-Intensity Active Crosswalk. 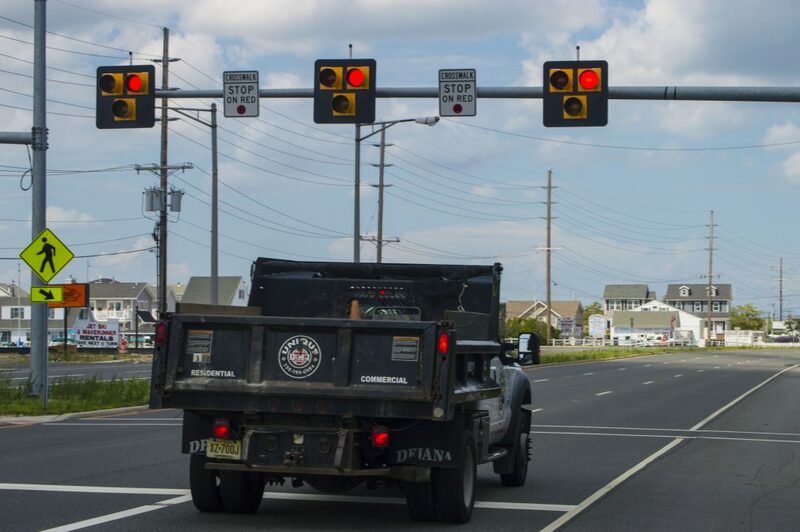 The Seaside Heights signal was the first of its kind in Ocean County until a second was unveiled this week in Long Beach Island. 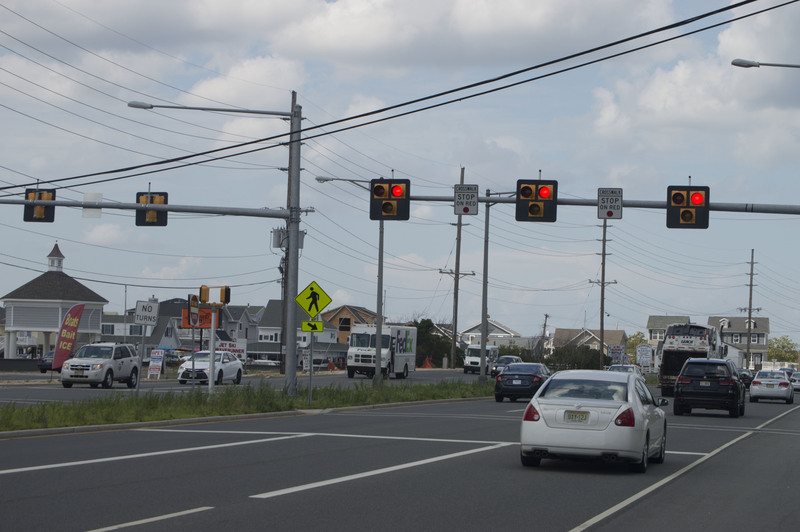 Next, the lights will turn solid red to drivers, and the pedestrian will see a “walk” signal. Drivers must stop the let the pedestrian cross. After a short period of time, the red lights will begin flashing. This means that pedestrians can finish crossing if they are already in the intersection, but may no longer start crossing. At this point, even though the light is flashing red, vehicles may proceed through after coming to a complete stop, and ensuring no pedestrians are in the midst of crossing. HAWK beacons are becoming more common across the United States after first being introduced in Tuscon, Ariz. in 2000 as an experimental program. It became approved as a national traffic control device in 2009.